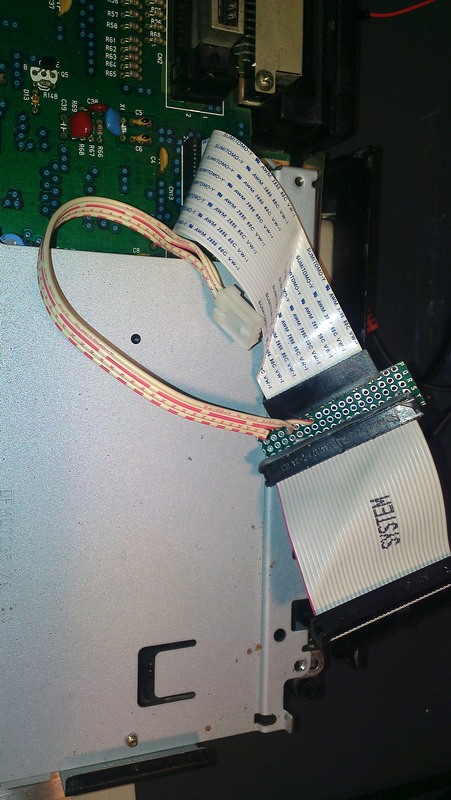 A couple of days ago I posted an instruction how to connect a PC drive to a FS-A1FX. 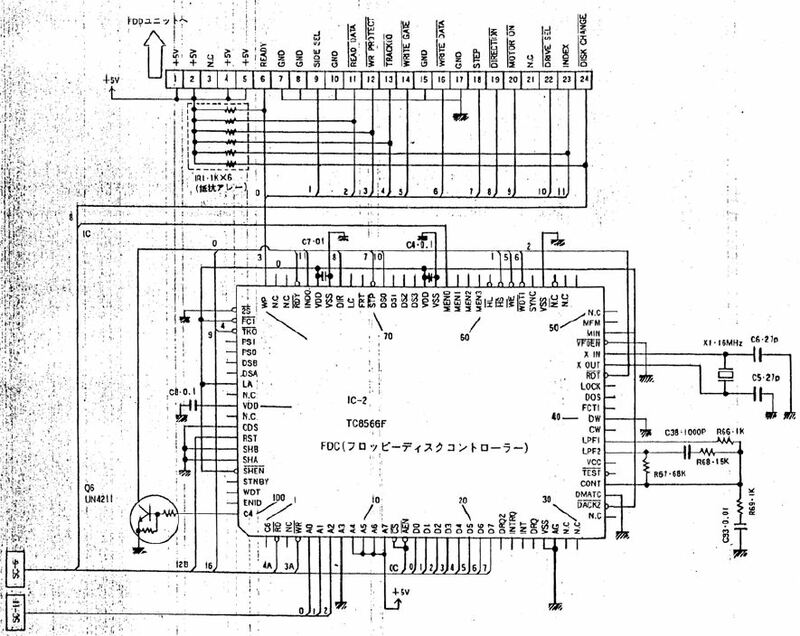 Now that I’ve everything working I was thinking about the extra signals on the TC8566F Disk Controller. I’ve looked at the schematics in the Service Manual and decided to try out a 2nd drive. 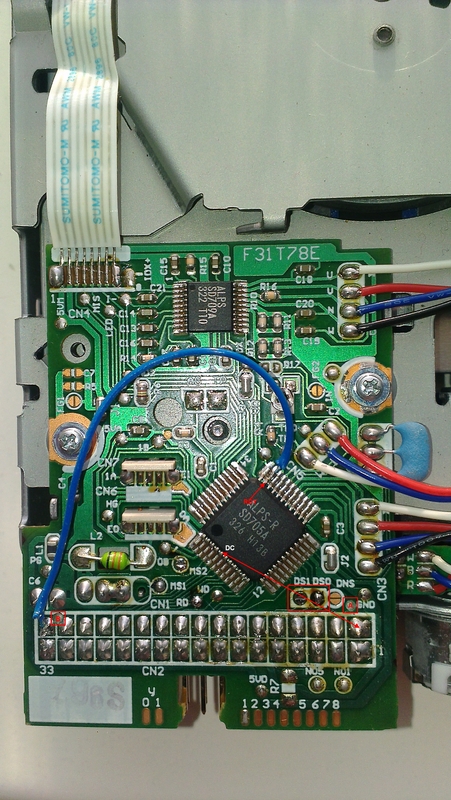 On Pin 62 there is a MEN1 (Motor Enable 1) signal and on pin 68 a DS1 signal. Both are not connected. 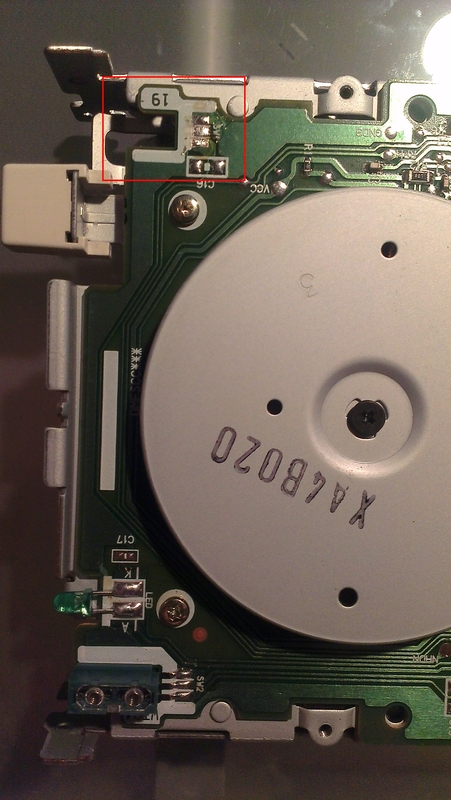 To fixate the wire in a way that it wont damage the Disk Controller, I’ve glued them with hot glue to the mainboard. 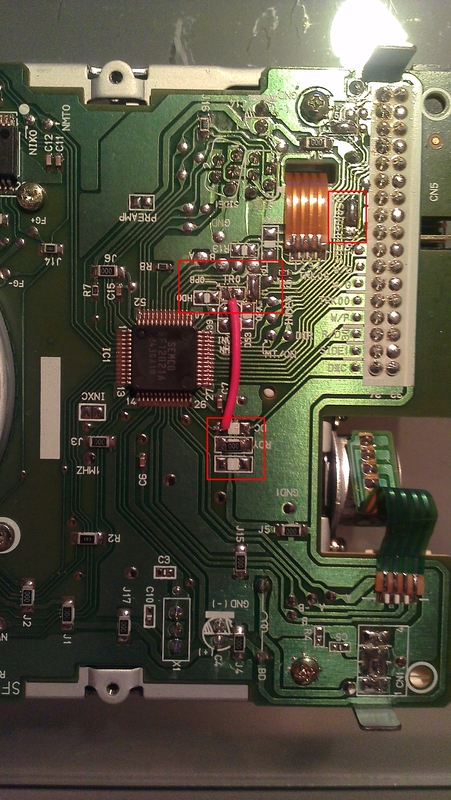 I’ve put these 2 signals on the same ribbon cable as the first drive, but connected them to pin 16 & 10 of the 2nd drive. 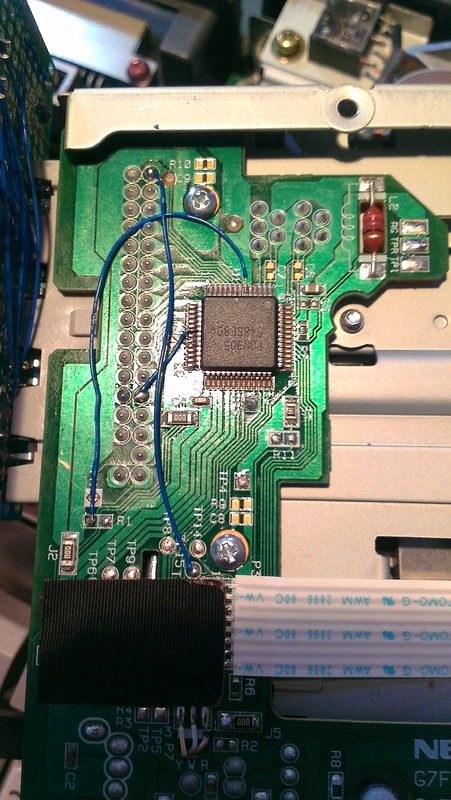 The rest of the signals are already on the ribbon cable. 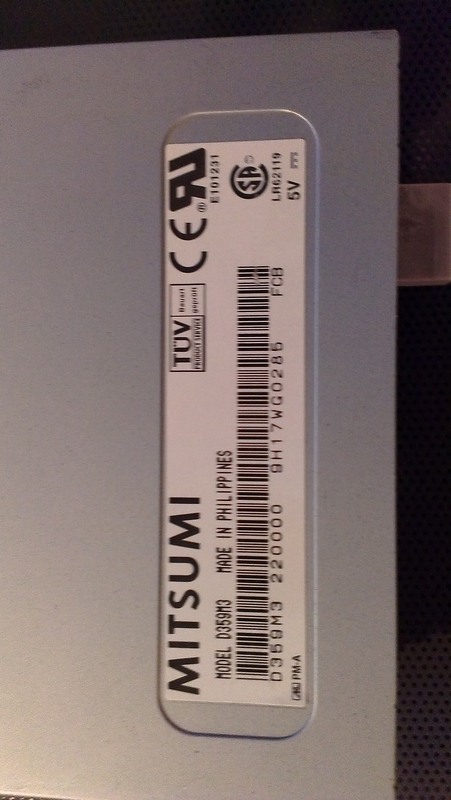 Keep in mind that the Power Supply isn’t strong enough to power 2 drives, so use an external powersupply. 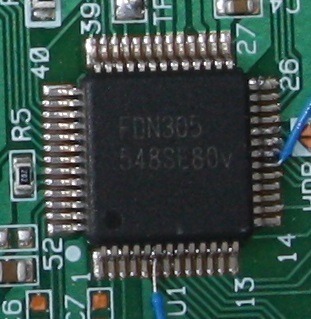 I’m planning to use this 2nd drive connector for a virtual floppy drive, the power is sufficient for this without an external Powersupply. 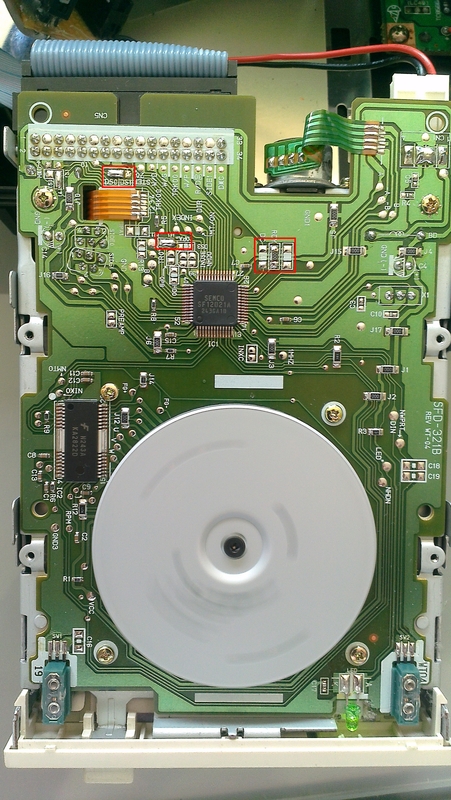 If you want to use an external diskdrive I recomend to use an old HDD Enclosure. 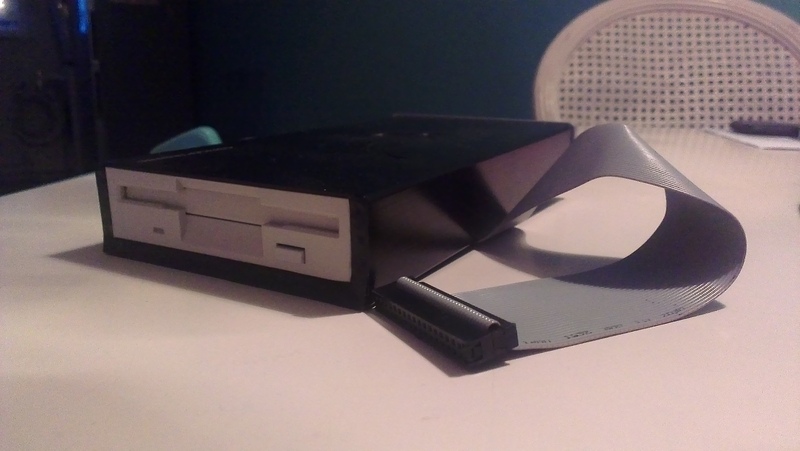 I had an unused IDE enclosure (there are a lot on 2nd hand markets, cause a lot of people nowadays use SATA discs). 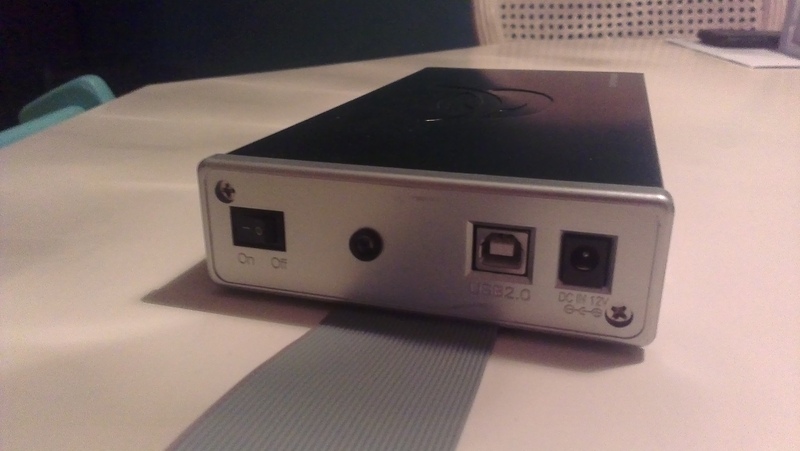 I’ve put a diskdrive in such an enclosre and only use the buildin powerconnector and on/off switch. I’ve added a LED on the 5V line, so I can see if the power is switched on. 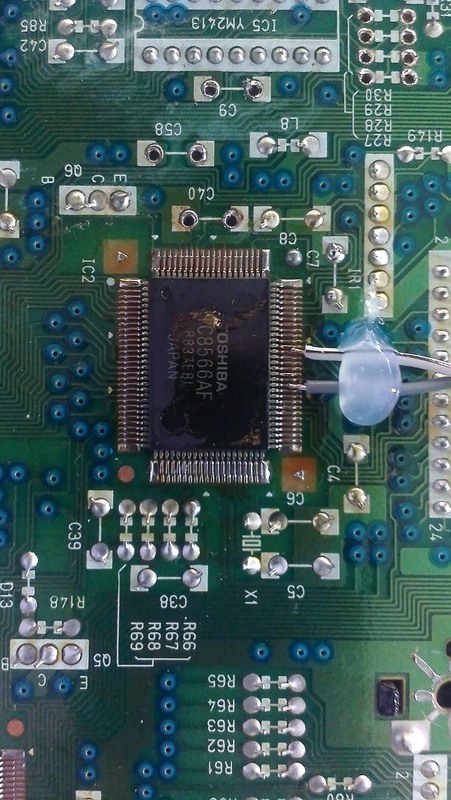 Also I’ve made a little gap so the flatcable can come out nicely. 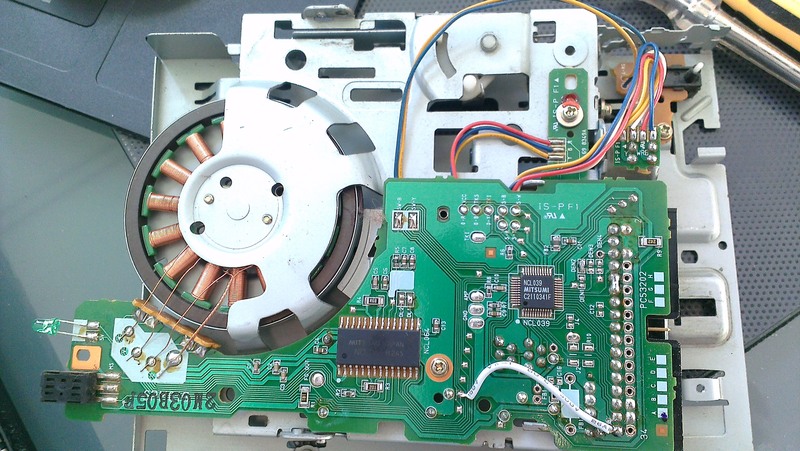 Replace a Panasonic FS-A1F Diskdrive with a PC Drive. 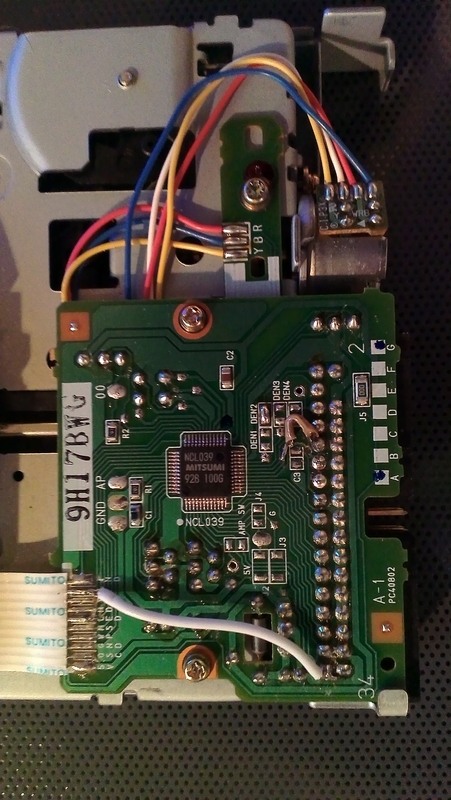 On the Internet I found a couple of instructions on howto connect a PC drive to a Panasonic MSX. In my opinion these instructions are to complex and/or not 100% compatible with the original diskdrive. 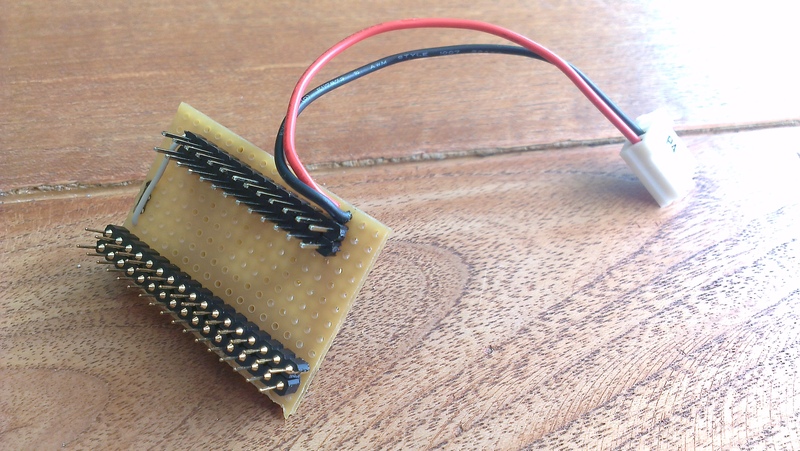 To minimize the damage to the mainbord I chose to make a small convertor on a small prototype PCB.